The big honking planner on the left I bought from JMRCustomLeather on Etsy. I use it for work, and it has huge rings. Luckily I don't have to carry it much. 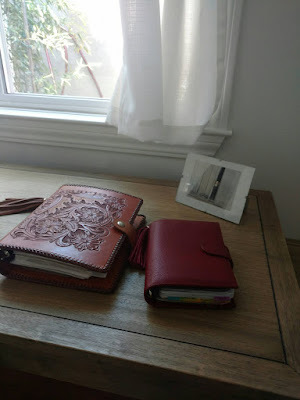 The personal sized planner on the right is my first Gillio planner, and it is so squishy and beautiful.